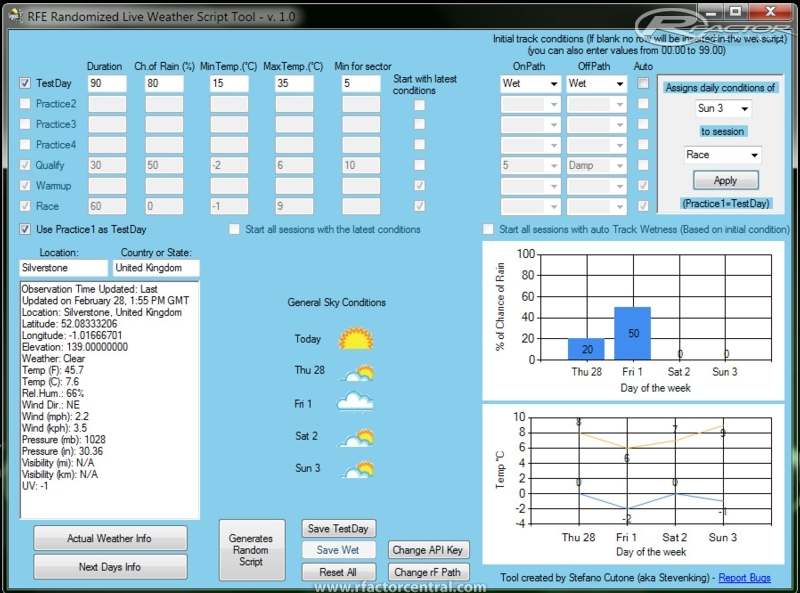 The tool can create random scripts or scripts based on real weather by using RFE Plugin series 1.1. It 's very customizable, more details are explained in the tutorial. Thanks to Slow for his support, his advice and testing throughout its development. Report bugs, feedback and suggestions for future developments.